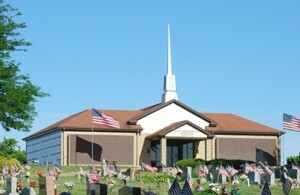 Our cemetery is a final resting place that provides dignity, respect and remembrance. Nothing demonstrates that message more than our mausoleums, which are located near the center of the cemetery. They stand eternal watch over the cemetery grounds and serve as the heart of the cemetery. 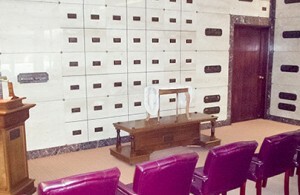 Our main mausoleum has a chapel and is home to 288 cremation niches just outside the main doors. 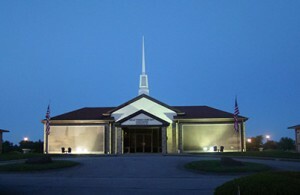 We also have two garden mausoleums that give grace and serenity to the mausoleum complex. Our poured-in-place construction (as opposed to pre-cast off site and assembled in place) insures it will continue to stand watch in decades to come as gracefully as it does today. When added up, the price of entombment is comparable to that of a traditional ground burial. Included with the crypts are bronze nameplates to memorialize those at rest within. 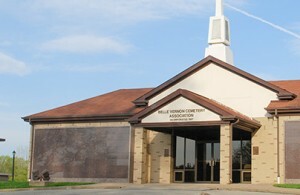 Crypt sealing and chapel committal services are separate charges and are not included in the cost of the crypt itself. Pricing varies according to location and is tailored to fit almost any budget. The price of a mausoleum crypt varies by the location and level of the crypt.